Vikings are really trending at the moment. With Valhal there is another board game coming to Kickstarter, that has the bearded, battle proven warriors as main theme. I had the opportunity to get my hands on a Prototype of the game, and am about to tell you how I liked it. I also did a extensive Interview with one of the developers of the game, which you can find in this article. It’s already the second run for the creators of Valhal. The Nuremberg based Game Developers were not entirely satisfied with their first attempt. They have used the feedback of their backers to apply a couple of changes to their campaign. I also had the chance to play the Prototype of the board game before the release. As usual for Prototypes, it’s all home made and of course not final, but the game itself is playable. The game is all about Vikings and their raids. Each Player takes part as a Jarl on the Island Fjörnheim. They build their own settlement, recruit warriors and raid villages and towns on the Mainland. 2 to 4 players try to gain Glory and the Favour of the Gods this way. Who makes it to the seventh „Favour-Space“ wins the game. The 28 page rulebook might scare you at the first look, but don’t get fooled! It is a rather small, square rulebook. In normal rulebook-pages it would probably be half of that. Also there is Flavour-Text and the access is made simple, as the play of the complete first year is explained and shown in examples. This makes it easyer to understand the procedures, as you are taken by the hand and are able to play along. The game proceeds through seasons. There are 3 of them: Spring, Summer and Winter. The Autumn was dropped, instead of that there is an especially long and harsh winter. At the beginning of every season (with the exception of the first summer, when the game starts) an Event Card gets played, that effects all players. When it is summer, it is followed by a raid for loot. The players get to pick (a dice roll decides who picks first) from the layed out villages and towns, which they would like to raid. It’s also possible to attack multiple targets, if you have enough warriors and ships, of course. Immediately the Players place the warriors and ships (each ship can carry 2 warriors) to the villages/towns they would like to attack. The battles are fought by rolling dice, until either one of the sides has lost the fight, or the attacker decides to retreat. If you have won the fight, you get your loot, most of the time that’s glory and loot cards. Last of both brings you different bonuses, from money, over food, new troops, up to more glory or even another step on the „Favour of the Gods“ display. To develop buildings, ships or troops, coins are neccessary and you also have to provide food in every season, in the long winter even 2. Otherwise your people won’t work. In the third step, the change of the season, everything gets played out, the used coins and food go back into the source, and everything is prepared for the next season. Also each player gets a coin. And just like that it goes through the different seasons, you try to build your settlement and get more troops and boats, to raid more villages and towns, get loot and more glory and favour. The Player who makes it first to the last space of the „Favour of the Gods“ display wins the game. The game is a Prototype. Even though a lot of cards already have the final graphics, there was still a lot missing. Also of course the quality of this print is not comparable to the future print of the final version. Still the game made a very good first impression. It is a fairly easy game, the rulebook is clearly structured and the game is fun. I especially like the construction mechanism of the buildings (which of course bring you advantages) and of the troops and boats. On the backside of the cards you find the numbers 1-3 or 1-4. It takes that many seasons until a building project is finished. You just turn the card one step ahead at a time, and see how many seasons more you have to go. Using certain tokens or buildings, you can shorten the production time. I like the artwork a lot, even though it is just a prototype. For instance there are very nice artworks on the village and town cards. The game beeing played in seasons is also interesting, even though I missed the autumn in the beginning. The rulebook always talks about seasons, and you kind of expect 4 of them. But it’s also a good thing that there’s only 3, as you can only raid in summer. The Event Cards, God Cards and Loot cards also bring a lot of variety and atmosphere into the game. The fight play a bit fiddly in the beginning. You have to add things and afterwards clear them away from the battle tableau. But after a while it becomes quite fluid. I also fear, that there might not be enough diversity on the long run. There’s always the raids in summer and afterwards 3 building phases. It would be nice, if there were even more Event cards and other things to bring some diversity. Also the „end phase“ is unusual. The first player who has 7 glory and reaches the 6th space of the „Favour of the Gods“ display starts this phase. Afterwards all players still have the chance to reach the 7th space of the display (but cannot use glory to get there). If no other player is able to do so, the player who has started the phase, wins the game. 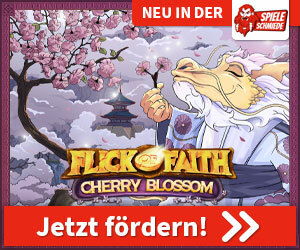 The Game will be released in German and English. My Prototype already was in German. With EUR39 (Early Bird EUR36) for the Standard edition you can start quite reasonable. There’s still shipping added. EUR74 will be the price for the Collector’s Edition (EUR69 Early Bird). Here you get a coin replica, 4 leather coasters and a Rattatöskr (Squirrel) Figurine. Not really anything I would need. A few Stretch Goals are already known, for instance unique village and town card graphics, special dice and more event cards. Im sure there’s more to come if the campaign goes well! 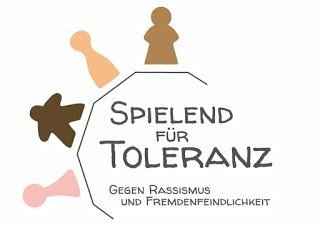 The game is not perfect yet, there are still some rules that may need polishing and a little more diversity would not harm anyone. But in sumary I had a lot of fun building my settlement and go raiding in the Prototype. You can by the way also cooporate with other players, what’s a very interesting idea. The game has a factor of luck when fighting and also with drawing cards, but for me that’s perfectly fine. I’ll definitely back the Standard Edition and hope, that there are some interesting Stretch Goals to come.